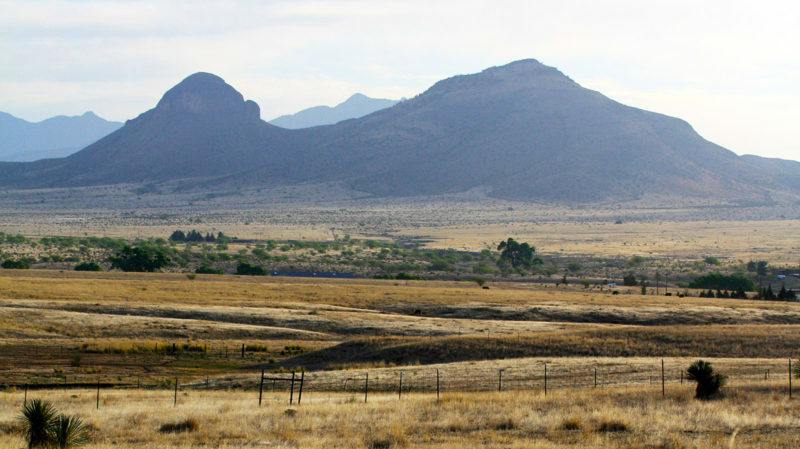 Since 2010, the Cienega Watershed Partnership (CWP) has worked with organizations to restore landscapes within the watershed, especially with the Bureau of Land Management for the Las Cienegas National Conservation Area. Soil and nutrient conservation and water retention are critical components of habitat quality and overall watershed health. 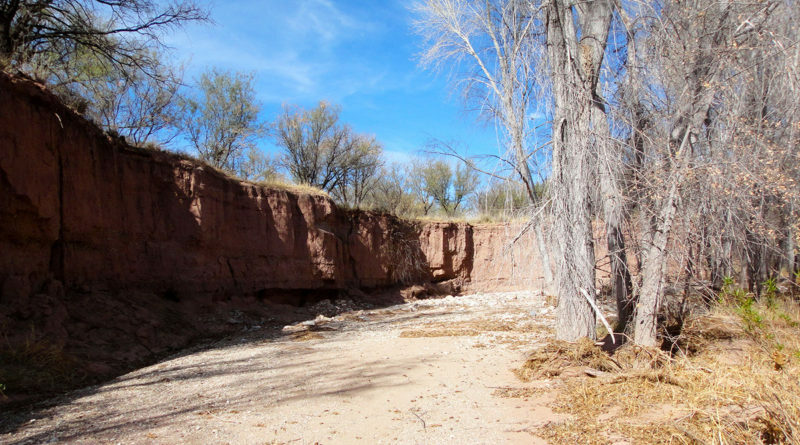 Restoring washes and arroyos and preventing erosion and sheet wash are top priorities with the goal of presenting erosion and down-cutting annually from carrying acres of rich sediment from the valley’s uplands to Cienega Creek and out of the ecosystem. When this happens, soils and habitat structure are compromised, challenging native vegetation and the wildlife that depend on it, while actually lowering water tables and draining the entire system. The earliest work involved CWP partnering with Sky Island Alliance to train individuals in restoration techniques and to enlist volunteers in making improvements. Under the guidance of Bill Zeedyk and Trevor Hare, workshop participants learned about water moving across the landscape, how to understand impacts, and basic practices using various kinds of techniques to prevent damage. Over $30,000 in volunteer hours were donated. The Youth Engaged Stewardship program (YES!) concentrates on the Gardner Sacaton Flats, where vegetation communities have expanding bare earth issues. From 2014 to 2016, youth have transplanted soils, added erosion structures, and more recently, transplanted crypto bio-crust to stabilize soils. This work will continue in 2017. View a summary of the 2015 work. Since 2015, the Cienega Watershed Partnership has enlisted Watershed Management Group’s (WMG) help in creating a restoration plan to begin the process of revitalizing and conserving Cienega Creek. We used the knowledge and experience we gained through our work in the region and hit the ground running in the Cienega Creek watershed. In spring 2016, a steering committee was formed to guide the development of a Decision Support Tool (DST) for decision making for upland, arroyo, and riparian restoration, and use our collective knowledge to ID areas to investigate. With the help of Amanda Smith, UA graduate student and PAG summer intern, we produced a draft GIS map of issues and opportunities. We developed a site sensitivity and capability analysis modeling approach to help weight factors in the decision making process and a site-specific knowledge acquisition form. In late summer 2016, with the LCNCA Technical Teams, we conducted four meetings to review data and criteria and provide input on implementation. This includes solicitations to meet with the FROG project personnel, the U.S. Forest Service, more BLM personnel, and local landowners. Feedback was received from more than 35 individuals. Work in the spring of 2017 included finalizing a draft of the Cienega Watershed Erosion Management & Restoration Plan to send out to our partners and incorporated substantial feedback. We also will conduct free restoration workshops for residents using a BLM grant, encouraging input from landowners and ranchers. Read the Cienega Watershed Erosion Management and Restoration Plan final draft, dated February 2017. Why Cienega Creek? The creek is located in one of the Tucson basin’s rare shallow groundwater areas, and fits WMG’s goal of restoring our heritage of flowing rivers. More than 280 native species, several of them threatened or endangered, make their home here. Both riparian animal and plant species abound here, but unfortunately, so do threats to the ecosystem. The creek’s banks are suffering from erosion and an influx of non-native invasive species that choke out important native species. The good news is that both individual property owners and local and federal agencies are passionate about creating a brighter future for the watershed. And through a stakeholder prioritization process, WMG is seeking input from these stakeholders in workgroup meetings where we ask folks what’s important and how we protect it. This process is producing a guide to where and how we initiate conservation action and we will soon be out there doing it! In March 2017, CWP and WMG collaborated on a proposal to the Bureau of Reclamation WaterSMART Program for ground truthing and implementation of the plan for two to three sites and engaged greater partnership from Pima County. The grant was awarded and that work should commence in summer of 2018 to compliment and further this effort.